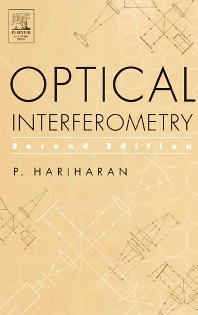 When the first edition of Optical Interferometry was published, interferometry was regarded as a rather esoteric method of making measurements, largely confined to the laboratory. Today, however, besides its use in several fields of research, it has applications in fields as diverse as measurement of length and velocity, sensors for rotation, acceleration, vibration and electrical and magnetic fields, as well as in microscopy and nanotechnology. Most topics are discussed first at a level accessible to anyone with a basic knowledge of physical optics, then a more detailed treatment of the topic is undertaken, and finally each topic is supplemented by a reference list of more than 1000 selected original publications in total. scientists and engineers interested in precision measurements of a range of physical quantities in industry as well as researchers and students in universities, members of organizations such as the Optical Society of America, SPIE and IEEE who are interested in possible applications in their work. Professor P. Hariharan is a Research Fellow in the Division of Telecommunications and Industrial Physics of CSIRO in Sydney and a Visiting Professor at the University of Sydney. His main research interests are interferometry and holography. He is a Fellow of SPIE (The International Society for Optical Engineering), the Optical Society of America (OSA), the Institute of Physics, London, and the Royal Photographic Society. He was a vice-president and then the treasurer of the International Commission of Optics, as well as a director of SPIE. Honors he has received include OSA’s Joseph Fraunhofer Award, the Henderson Medal of the Royal Photographic Society, the Thomas Young Medal of the Institute of Physics, London, SPIE’s Dennis Gabor Award and, most recently, SPIE’s highest award, the Gold Medal.